Introducing JEWEL foot mats, with unique jacquard design and beautiful diamond pattern which is a hallmark of this product. They are manufactured using automotive OEM grade polypropylene carpet, which helps keep your car clean and hygienic. They are custom made for your car make and model and give a plush look to your car interiors. 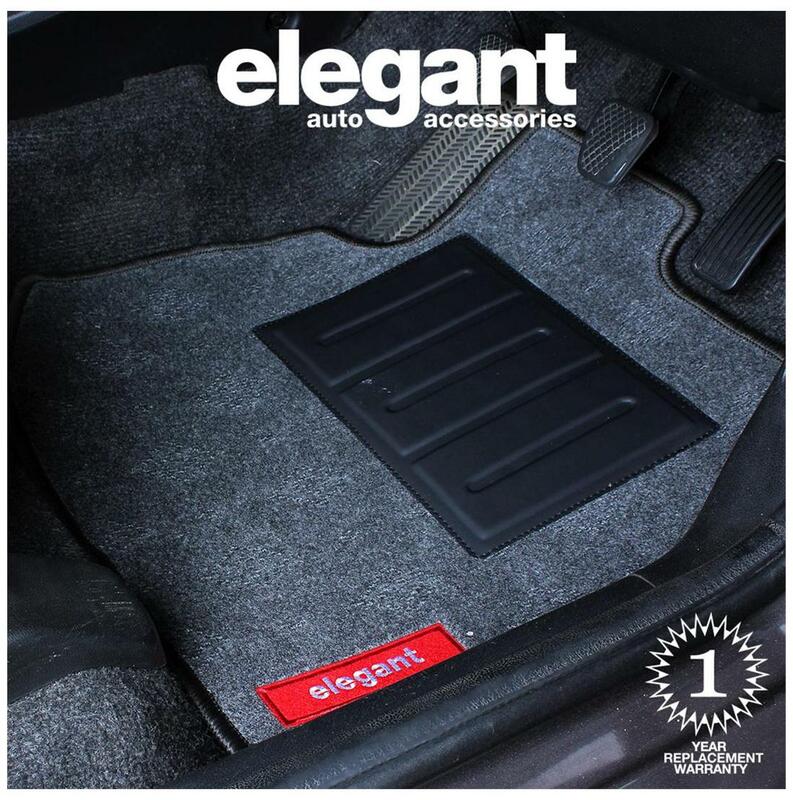 They are made using two layer carpet mat - Top layer is luxurious Polypropylene Carpet that traps dirt and helps keep your car clean, while layer 2 is a specialised anti-skid backing, which ensures that the mat does not slip and helps in a stress-free drive.